The Happy Wives Club Discover the Best Marriage Secrets from the World’s Happiest Wives held some surprises for this reviewer. Surprise number one; The author is a business woman who can write! It’s a research book but it’s not boring, especially if you are married, interested in being married or wish you had known how to stay successfully married! This is a well-written account of one woman’s travels to find happy couples and learn how they built their successful marriages. I had “liked” The Happy Wives Club on facebook over a year ago, delighted to support the founder and author, Fawn Weaver’s, idea that it’s important to let the world know that there are a lot of happy wives in the world. And there ARE a lot of happy wives in the world, if the 688,000 members of THWC are any indication. The book reads a little like a travel diary as the reader listens in on Fawns’ interviews with happily married couples across more than six continents and eighteen cities. Readers also get to vicariously enjoy the scenery, the food and the glamor of Fawn’s jet setting lifestyle as they read. And, therein lies the books weakness (Surprise number two). As a successful businesswoman, Fawn has been married for more than ten years and is childless (although she and her husband want children…now). Her interviews with happily married couples are helpful because her research reveals that the secrets to a happy marriage are the same in spite of cultural differences! Good to know. 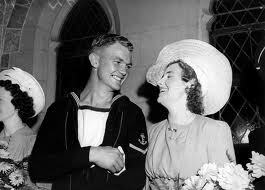 However, this wife of thirty-three years believes that Mrs. Weaver overlooked some crucial couples in her research. What about those couples who have endured years of misery and come out on the other side, happy and more committed? What about those who haven’t had successful careers and have, perhaps endured great poverty and struggle? What about those with more than two children? Studies reveal that couples who were on the brink of divorce but stayed married considered themselves happily married three or more years later! Sometimes, commitment to marriage is really all it takes. As the reader gets to know Fawn a bit through her writing, Fawn shares some of her worries and insecurities about the effect that a child might have on her husband’s relationship. Her questions often probed couples to find out how they “shared” responsibilities. She continually highlights equal sharing and partnership in the married couples she interviews. Because Fawn is a Christian, I found this approach to be a bit disheartening. Foundational to a Christian marriage is knowing that it is a covenant before God regardless of whether or not the responsibilities are equally shared. A shared-and-equal marriage will work until a child or two is brought into the equation and, then, that shaky foundation crumbles. As the mother of eight children I wanted to tell Fawn that some marriages create a mini-nation where equal sharing becomes an impossibility. I wanted to tell her that for many years, outsiders looking into our family would have seen two exhausted parents just trying to make ends meet. During those hard years, those same outsiders couldn’t see the respect and esteem that were growing in both my husband and I (he, because he saw me transformed by the hard work of motherhood and I, because I saw him develop a strong work ethic to support the children of our marriage). There was no equality or sharing during those years…just survival. I wanted to tell Fawn that there is something so much richer and deeper and more wonderful than an equal marriage with constant companionship. It is the knowledge that your marriage is building something far greater than best-friends-in-love. That’s what I feel Fawn missed in her research. Not all happy couples are happy the whole time and many have endured long years of struggle but an understanding of the covenant of marriage causes it to endure. Fawn’s observations of couples all over the world makes the book fun to read. In the course of her travels, Fawn delights the reader by sharing the wisdom she learns from happy and successful people all over the world. Fawn Weaver is an American black woman and rightly recognizes that black marriages are in trouble. Her research is encouraging to women of any color and nationality because the secrets to a great marriage are the same across all cultures. I do recommend this book, I just don’t know if I would give it to anyone going through a really tough time in their marriage. I received this book for review purposes only from HarperCollins Christian publishing. The Day is almost upon us and a woman can hardly enter a grocery store or florist shop without bumping into a man with his arms full of flowers. Have you ever noticed that a man holds a bouquet of flowers up and out from his body, kind of like an Olympic torch? Take a good look at the next man you see who has just purchased some Valentine’s flowers and see if you don’t catch a look of triumph and pride on his face. “Will flowers be enough? What if she is thinking jewelry?” Oh help me Lord! We want that sweeping, swooning, love like we see in the movies (that’s why most marriage books are read by women and the chick-flick industry is going strong). We also like foo foo and candy and sweet little nothings written on cards and carved into chalky tasting candy hearts and (if we’re honest with ourselves) we love the envious looks our friends and relations give us when the man in our life makes some crazy, creative, romantic gesture. Valentine’s Day is fun. It’s romantic. And it puts a lot of pressure on our men. As a younger woman, I put a lot of pressure on my husband. I thought I knew what love looked like and the flowers he picked out of the New Mexico State University Agriculture garden for free did not look like love! While I was busy getting my feelings hurt, I failed to notice all the ways that he showed real love to me. He’s always defended me. He’s really good at that. Over the years he’s worked at jobs he hasn’t particularly liked just to provide for us. He gets angry and blows it…and apologizes. He’s put his jeans back on in the middle of the night to go hunt up something at the store to make my pregnant stomach feel better and he’s done this more times than I can count. He’s rented a carpet shampooer to clean baby vomit off the couches and ended up spending his one free weekend doing the entire house because I insisted. He says those magic words to me, “What would you like me to make you to eat?” and then he makes it…better than a restaurant. He thanks me, often, for giving him eight children. That really makes my heart go pitter pat. My husband has also gotten really good at giving special gifts and beautiful cards. Those are fun and wonderful and sweet but they don’t really prove his love like all the other things he does. We have that swooping, swooning, epic kind of love but it looks and feels different than the movies. It is better. 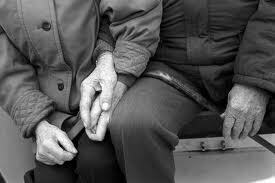 Real love means commitment and forgiveness and sacrifice and being there. So what if he buys you a new set of dish towels for a gift and doesn’t bring you a soppy card or a box of chocolates? I’ll just bet that the man in your life is doing an awful lot of things right. Give him a big kiss and tell him that out of all the men in the world, he is your hero. Choose to have a wonderful Valentine’s Day. 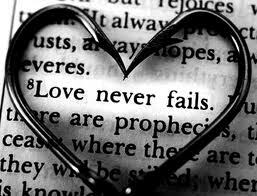 ABC's of Love, covenant marriage, martyrs for the faith, pagan rituals, trusting God, Who was St. Valentine? The roots of Valentine’s Day seem to be obscured by time and a number of stories are told about why it began. This story is one that has enough historical details to be plausible. In the days of ancient Rome, the fourteenth day of February was a pagan holiday honoring Juno. Juno was the queen of the Roman gods as well as the goddess of women and marriage. The next day, the fifteenth, was the first day of the Festival of Lupercalia. This festival honored Juno and Pan who were two Roman gods. Fertility rituals were held on this day. On the night before the festival started, it was customary for the names of the Roman girls to be written on slips of paper.These slips were then placed in a container and then each boy drew a name of the girl who he would be coupled with for the entire Lupercalia festival. Rome was under the authority of Emperor Claudius the Second, and he was a vicious warrior (not to mention the fact that he was insane). His armies lacked the sufficient number of soldiers it needed, and Claudius could not figure out why more young men didn’t want to go to battle. Finally, he determined that the young men didn’t want to leave their wives, families and girlfriends. In order to remedy this, the Emperor instituted a new law and canceled all of the marriages and engagements in Rome. In the meantime, there lived a priest in Rome by the name of Valentine. He did not believe in the Emperor’s new law, and he refused to abide by it. He continued to perform wedding ceremonies in secret. Valentine lived in constant fear that he would be caught by Emperor Claudius’ soldiers, but he persisted in doing what he knew was right. Finally, the day did come when Bishop Valentine was caught uniting a man and a woman in the bonds of holy matrimony. The soldiers dragged him to stand before Emperor Claudius’ throne. The Emperor condemned the Bishop to be put to death for his violation of the law. While the priest was imprisoned, waiting for his execution, many young couples threw notes of thanks along with flowers and other gifts into the window of his cell. Among these young people who admired the priest for doing the right thing, was the prison guard’s own daughter. Her father allowed her to visit Bishop Valentine in his cell. Finally, the day arrived when Bishop Valentine was scheduled to die. It was the fourteenth of February in the year of 270 AD. While he was waiting for the soldiers to come and drag him away, Bishop Valentine composed a note to the girl telling her that he loved her and would pray for her. He signed it simply, “From Your Valentine.” A short time later, Valentine was executed. In the year 496 AD, Pope Gelasiu finally did away with the pagan festival of Lupercalia, citing that it was pagan and immoral. He then chose Bishop Valentine as the patron saint of lovers, who would be honored at the new festival on the fourteenth of every February. Over the years, Valentine’s Day has evolved into a holiday when gifts, cards, flowers and candy are given to the ones we love…all because of a brave, righteous man named Valentine. It’s a toss-up for me…Valentine’s Day or Thanksgiving Day? Which one is my favorite? In the grey blah of February, I’ll take lots of pink and red and sugar anytime! Our family has tea parties this time of year and it’s a good excuse to pretty up the house. Valentine’s Day is a wonderful time to tell your entire family how much you love them. Here are some awesomely creative ways to do that and they don’t cost much at all. 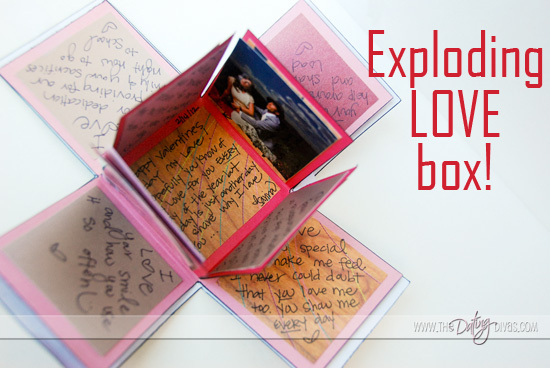 Check out this Exploding Love Box. 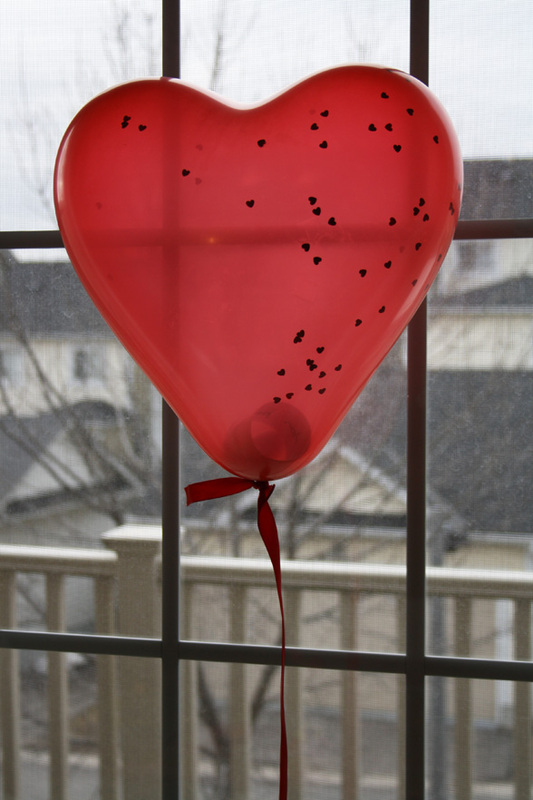 Or…how about a message in a balloon, complete with confetti? Here’s one that might be especially meaningful to a child. Simple and special! 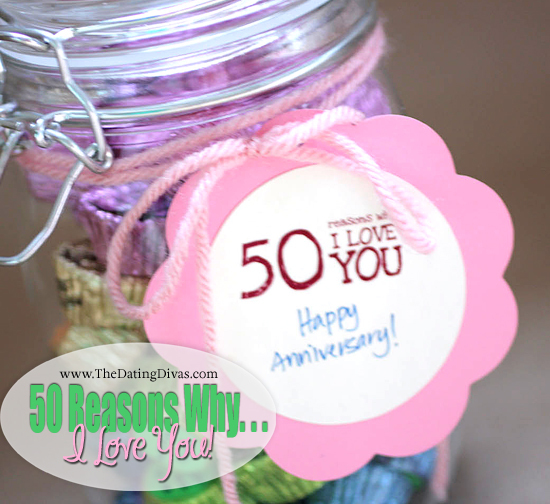 Fill a jar with lots of reasons why you love them! 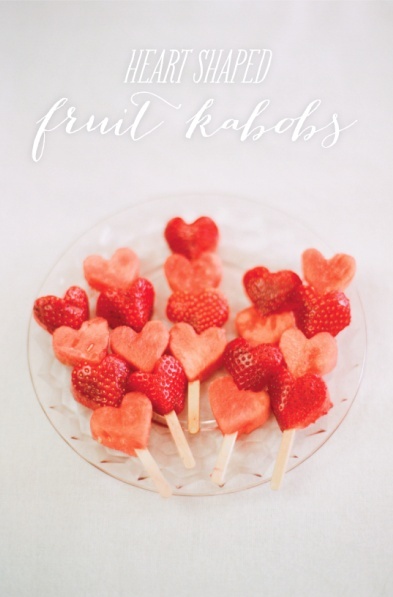 For fruity, fresh and simple, try some fruit kabobs! which, after being joined in marriage, will flow in the same channel in the same direction… carrying the same burdens of responsibility and obligation. Modern girls argue that they have to earn an income, in order to establish a home, which would be impossible on their husband’s income. That is sometimes the case, but it must always be viewed as a regrettable necessity, never as the normal or natural thing for a wife to have to do. the utmost sacrifice of her love. It will demand everything she has and more. And she will find that for which she was created. She will know that she is carrying out the plan of God. She will be a partner with the Sovereign Ruler of the universe. 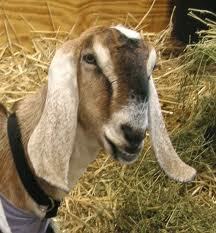 Hi, Jill! In your post about staying home with the children, you encouraged moms having a hard day to contact you – and so I am. Because today was a bad day! I feel my husband only values my stay-at-home-mom choice in so far as it saves us money (its cheaper for me to clean our house than for a cleaning service to do it… its cheaper for me to cook than for us to eat out, etc.) But the overwhelming vibe I’ve been getting lately is… that’s where the gratitude stops. He doesn’t value that along with the financial savings, I’m putting my heart and soul into loving our kids and making a godly home for us. My friends and even my mom are telling me I need to get away for a weekend and just leave him with the kids – that making him carry my ENTIRE load is the route to instill appreciation for the hard work I do everyday – so that he doesn’t feel like he did SO MUCH for me just by loading the dishwasher. But, Jill, I’m not feeling quite right about taking that advice. For one thing, it would confuse our young kids who would not understand why mom disappeared! Surely there’s another way to build up our marriage and pull it our of this rut of ungratefulness… right?! I’d love to hear your insights!! I found out that Anne is the mother of a four year old and a two year old and is expecting a baby…this means that Anne is working very hard, indeed. I also discovered that her husband had a single mom who worked outside the home. Here is my reply to Anne and her response. There is a lot more to say on this subject so chime in with your best advice and encouragement for her (and check out the many comments on Generational Womanhood’s Facebook page). Even the most loving, committed family-man will not really “get” what you do. My husband always said that he wanted me to stay home with the kids (his mom worked as well) and he said he “supported” me but he really didn’t have a clue what an effort I put into it and what a difference I was making in the lives of the children and in him! He tried to be appreciative but he took me for granted (and, to be honest, I took a lot of what he did for granted). 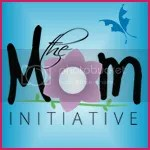 I read lots of encouraging books that reaffirmed the value of godly motherhood. I wasn’t hearing it from my family, church or society at large. I needed constant reminding that I was raising souls. I also read and listened to godly encouragement in my role as a wife. I tried very hard not to be so child-centered that I forgot about my husband so I taught my kids to pick up the house a bit before he came home from work and to welcome him when he came in the door. Too many men come in from a hard day’s work and aren’t even acknowledged or greeted when they come in the door. I felt sorry for myself and I expected him to be a godly Patriarch who had the time, energy and maturity to “build me up.” He was maturing just as I was maturing and that was too much to expect from him. I listened to other “older” women who told me I “deserved” a break and that I had it “hard.” Motherhood was sanctifying me and, yes, it was very hard but not because of other people but because of my own maturing process. I would advise you to renew your mind over and over. Ask God to help you be the queen over your home, ruling with graciousness and joy. Ask Him to help you think of ways to bless your husband. Yes, you may need to ask your husband to appreciate you every once in a while (and there is nothing wrong with insisting on respect for the hard work you do!) but wait on God to work on your husband. Don’t you worry! The day will come when your husband will visit another family or see a friend come home to a chaotic home without a caring wife and he will realize what a blessing you are to him and the family. My husband would verbally thank me for what I did but really didn’t appreciate me until later when he saw what other men experienced in their homes. He really and truly appreciates me now! Personally, I don’t think it would hurt to occasionally leave your children with your husband for a few hours or part of a day although I don’t think that you need to “teach him a lesson” by leaving the kids with him. Also, are your friends and mom telling you to leave the kids with him because you tell them how your husband doesn’t appreciate you? Be careful about gaining the sympathy of your friends and family at your husband’s expense. Your friends are loyal to you and they can get very upset on your behalf and be angry against your husband. Their reaction to your situation might make you feel justified in your own resentment. Instead, if you need a place to “vent”, try to find someone who is wise, older and neutral! Those people are hard to find but they are out there. Ultimately, you have a responsibility before God to be the best wife and mother you can be. If you are appreciated for what you do, it is a wonderful thing. If you aren’t, God sees what you do and is pleased with you and, meanwhile, you are maturing and growing as a woman. Bless your husband. Bless him and don’t curse him. Raise up children who will bless him! 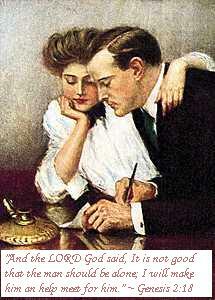 Many a man has been humbled by the kindness of a godly wife. At the same time, remember that you don’t have to carry HIS load. If life is too heavy for you or you are taking on too many responsibilities, ask him for wisdom and help. He doesn’t really have to unload dishes (just like you don’t have to do his work). As soon as you can, teach your little ones to help you. Clap for them and appreciate them and your load will gradually get lighter. If you are overwhelmed, talk to your hubby about finding a mother’s helper (pre-teen and teen girls who will work for a small amount just to assist you). Again, your husband does need to know that you feel overloaded and unappreciated but let him know in a gracious, non-attacking manner! 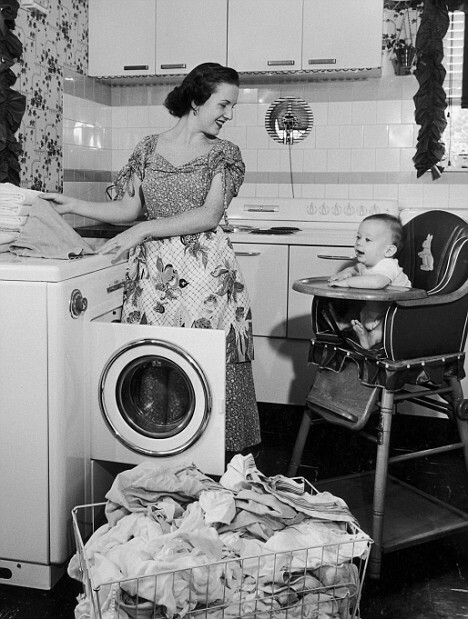 Remember, the feministic mindset that has infected all of us causes us to resent our husbands for not “helping” us but we were created to be a helper for him! This doesn’t mean waiting on him hand and foot but it means completing him. Part of completing him is by raising his children and running his home and managing his money. All of these things are done for the mutual benefit of the covenant couple. So. let him know how blessed you are to be his wife and have his children and how much it means to you when he appreciates you. Tell your husband that he is “the man” because he is willing to be the sole provider so that you can stay home and nurture the children. Since his mother worked outside the home and was a single mom, he must often feel like he is groping in the dark; trying to be a man without any guideposts or examples of how to live like one! Your appreciation and respect is like oxygen to his soul. He needs to know he can trust you to speak good things about him with other women. A man like your husband is becoming more and more rare today. He is stepping up to the plate and shouldering a heavy burden and you are blessed because of him! Anne, you are doing an essential work. You are raising children who will transform our nation and our world. Don’t give up. Don’t give in! Trust God. I just read your reply & can’t tell you how much it means to me! I want to read it through a few more times and take some time to reply later today when my little guy is napping. For now I just want to thank you from the bottom of my heart. You have no idea how much it means to get such practical encouragement when stay-at-home-mothering can be such a lonely task (so many of my mom friends tell me how eager they are for their children to become school-age so they can finally quit “having to” stay home with them & get “their life” back). Embracing the calling to being a mom does not seem widely understood & its rare for me to find anyone who feels *blessed* by it. Again, thank you. We’re continuing with Sarah’s interview. Sarah is a great example of the choices that women make in order to be a “stay-at-home mom” (a term I don’t like because it doesn’t communicate the kind of action and initiative that it takes to be a mom who works within the home). To read the beginning of this interview, start here. What I did do in college was miss my family members birthday celebrations, anniversaries, and reunions. I lost touch with my cousins because we were all so busy studying. I tolerated jobs and people that I normally would have avoided like the plague. Another thing I would have done differently is I would not have invested the time, effort, and money in a “career”. I would have simply worked at a “job”. I really enjoyed working as an assistant manager for a condominium complex during the week and waiting tables in a family diner on the weekends right after college. I was comfortable with the skills required and enjoyed the people I worked with. I could have left the workforce quickly and easily when I became pregnant. I made enough money to live on my own without roommates or support from family. With hindsight, I would have kept those jobs instead of striving for the brass ring promotions and continued to share an apartment with friends and saved money. After years of climbing the corporate ladder I had nothing to show for it except a fancy title on a business card and a lifestyle that was impossible to support if I wanted to stay home and raise my child. I would have had more money in the bank if I had saved and lived frugally in a job that was less prestigious and paid a smaller wage/salary instead of “investing in myself” and spending money on professional clothes (required), a car (required), various professional licensing fees (required), fees to join professional organizations, professional development classes, networking, etc. Instead of being mentally challenging and stimulating, my career became an obstacle and stressful. My husband I have talked about the hypothetical “mulligan” and we both agree that I should have given my two week notice and never looked back the second we found out I was pregnant. I loved your suggestion to the mother who chooses to live frugally but gets discouraged by the hard work or change in lifestyle. You said, “Go hug your child and you will realize it is all worth it.” Precious words! Thank you! Other than the occasional “rough day”, most families will find that their lifestyle improves. You will have less money but you will have more time and pleasant home. Your husband will have a place where he can actually relax. Your children will have a space to feel completely safe. Hard work at home is not as emotionally draining as hard work at an outside the home job. A rough day at home is exponentially less brutal than a rough day “at work”. Has it been humbling to live differently? What sort of reaction have you experienced from family and friends? It has been so humbling to live differently, but not just because we have embraced frugal living. Having a child took me out of a vapid, plastic, shiny, manufactured world filled with fake things of artificial importance. Having a child made me realize that I really wanted to stay home. How much we really have compared to most. How fortunate I am to have a husband who knew I was the best person to raise our daughter and that he wanted me home too! I think becoming humble is a process that will take my entire life. However, there are some “eureka” moments. For example, when I first began shopping at thrift stores for clothing in an effort to reduce our expenses so I could come home, my mindset hadn’t changed much yet. I saw patterned turtlenecks for my daughter being sold for $1.80 each and I looked through the racks and picked out eight without rips or stains. I rationalized that the cost of one turtleneck new was about $20 and I was getting eight for less than that! I was so full of pride – what a deal I found! I was so puffed up and so nauseatingly pleased with myself, I couldn’t wait to brag about my amazing shopping skills to my husband and get compliments. Another Mother and her two children were looking through the racks too. I heard the Mother tell her children that she could only buy two turtlenecks because that was all they could afford. What a humbling moment. My daughter didn’t need eight turtlenecks – eight were enough to dress her in a different turtleneck every day of the week with an extra. She also had other shirts at home. I originally went there to purchase one for her to wear under a particularly “scratchy” sweater. I bought one turtleneck. To think that I even considered buying eight to “save money”! I often think about that bit of conversation between the other Mother and her children. It was the first time I have ever heard a parent tell a child in public that they could not afford something. Usually parents say something along the lines of, “well we can talk about it later”, or, “you can put it on your birthday/Christmas list/wish list”. We do our children no favors by speaking to them in euphemistic terms. I make an effort now when my daughter asks for something at a store to simply say, “no we can’t afford it”. It isn’t I couldn’t find a way to buy the $12 piece of lead laden plastic from China, it is the fact that $12 should go into savings. It is humbling to realize that it is my calling to teach our child how to budget and delay immediate wants. My family has been amazingly supportive of our frugal lifestyle. Other than being extremely worried about what would happen to us if my husband lost his job (I assure them we are working very hard to save) there have been no negative comments. Many family members have even said very positive things to us. Most helpfully family members have been fine with our decision to not “do” a ton of presents from the big box store type of Christmas. It takes the pressure off of them to shop for the extended family and they can focus on their immediate family members. When there are family invitations to events that exceed our budget, I make an effort to be honest and matter of fact when I decline. For example, many family members go on vacations together at resort type areas. We don’t want to pay for a resort type vacation. 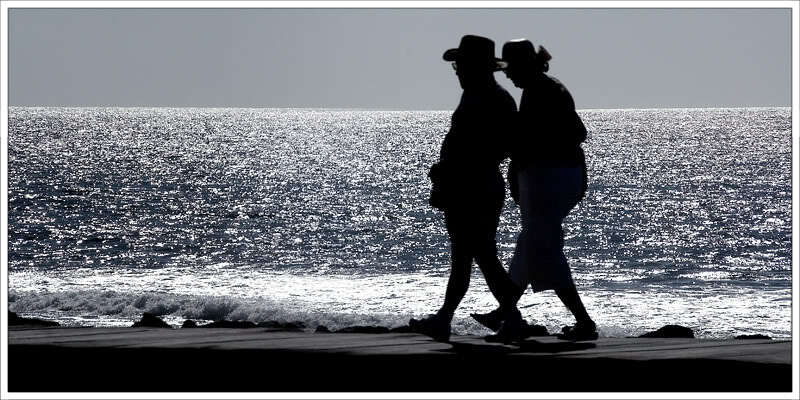 When we decline we make sure that we have them over or go to visit at every opportunity. We emphasize that we love their company we are just not in a position to travel. When they offer to pay for us we also politely decline. What advice do you have to women who want to stay home with their children? I’ve taken notes during the Sunday sermon sporadically over the years but recently renewed my commitment to, not only take notes, but review them and keep track of them later! Here’s a great PDF on how to get the most out of the sermon (mamas of littles, no guilt! Just do the best you can!). A short post along the same lines about how to keep God foremost in our hearts and minds throughout the day is The Glorious Distraction. A fun project for Sunday school classes that I plan to do with my kids at home is to make mini-books of Bible knowledge. If you look up one link this week, watch this video. In a day and age when you people are living together “because their love doesn’t need a piece of paper”, here is a thoughtful and passionate presentation on the purpose and meaning of marriage. Tim Keller (pastor, author speaks to Google employees on the Christian view of marriage. Deep down inside, most of us suspected the truth of this study; a mother’s love overcomes the effect of poverty and improves immune function in children. What did you read or learn this week? Share it with the rest of us in the comment section! 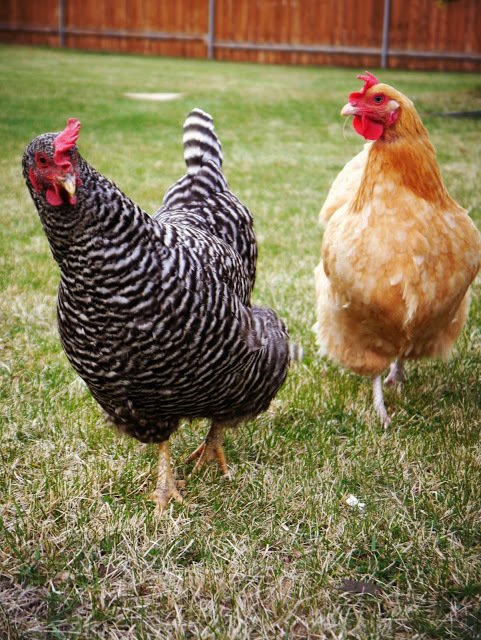 You don’t want to be a dumb cluck! In the 1970’s my parents joined many others of their generation and divorced after almost 30 years of marriage. I was a teenager at the time and every adult I knew told me that the divorce was “for the best.” They assured me that it was better for the children to have divorced parents rather than parents stuck in an unhappy marriage. The book which blew the theory of “unhappy married parents = unhappy children” out of the water is The Unexpected Legacy of Divorce: A 25 Year Landmark Study by Judith S. Wallerstein, Julia M. Lewis and Sandra Blakeslee. Researchers found that it didn’t matter if the divorce was “friendly” or angry, children suffered the same trauma by the break-up of their parents marriage. Researchers followed children from the time of their parents divorce into adulthood (a period of 25 years) and concluded that divorce is an event from which children never truly recover. 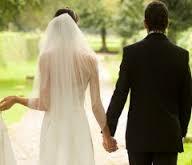 It affects future relationships negatively and has a profound affect on their future marriages. Here’s another thing the Wallerstein study discovered; it doesn’t matter if you are 3 years old or 30 years old; if your parents divorce you are sadly and permanently changed forever. Contrasted (in the study) were children who experienced horrible marriage and family dynamics with parents who remained married. 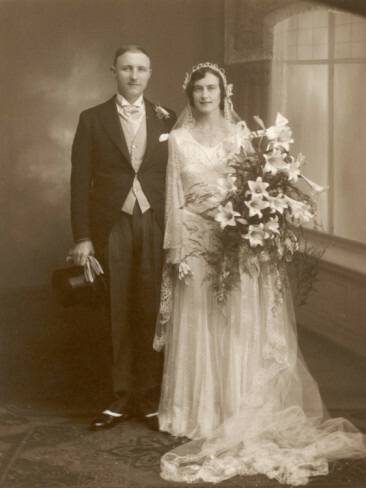 Those children grew up knowing that they didn’t want the same type of dysfunctional marriage their parents had but they approached their own marriages knowing they could stay married. In other words, despite a terrible childhood with deeply unhappy parents they grew up more confident in their ability to build successful future relationships. Laura, at The Thinking Housewife blog, highlights some disturbing trends in the “let’s have a good divorce” lie. I encourage you to read her post on The Comforting Illusion of Child-focused Divorce and The Myth of The Child-Focused Divorce. Why do we need to think about these things? Because marriage grows and changes throughout a lifetime and we all face temptations, boredom, our own sinful tendencies and stupidity. 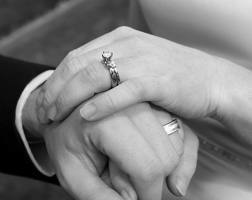 Ultimately, honoring our marriage vows affects and influences not only our own children but the generations to come. If you have a large family and wonder if it’s worth it all, read The City Gates for statistical proof that you are influencing future generations! Another study shows that children who grow up in large families have a much lower divorce rate (updated 9/21/2013). Are you divorced? Know this, our God is the God of the broken-hearted and He delights in doing a new thing in each generation! His grace will be your strength in weakness (2 Corinthians 12:9). You can trust Him.